Chosen.Org is leading music for Reasons.Org, Where Science and Faith Converge, April 27, 2019 in Austin, TX. Dr. Fuzale Rana, Vice President of Research and Apologetics, will be speaking to skeptics and believers alike, about the powerful scientific evidence for God’s existence and the reliability of Scripture. To find out more, visit www.reasons.org. We love Community First! Village and especially our friends at, The Gathering. “Pastor Dude,” Matt Freeman encouraged us to participate in a weekend retreat for previously homeless women guiding them into a deeper faith walk. We decided to take the plunge and we are looking forward to a life changing experience. The retreat is February 21-24. We will help facilitate February 22 and 23rd. Please pray for these women and pray that the Lord speaks through us. I’ve heard the retreat makes a lasting impact on everyone involved. To say we are excited about it is an understatement. If you would like to support us during this event, we are providing care packages to each of the women. Please donate here, or email us at Allison@chosen.org for other ways you can support us. We look forward to sharing some incredible stories from the event when we return. Thank you for being awesome and as always, thank you for your support. We will be leading the service at First Baptist Elroy, 13705 FM 812, Del Valle, TX 78617, February 10th. Church starts at 11 am, so don’t be late. When you see the F1 track in the distance, you are almost there! 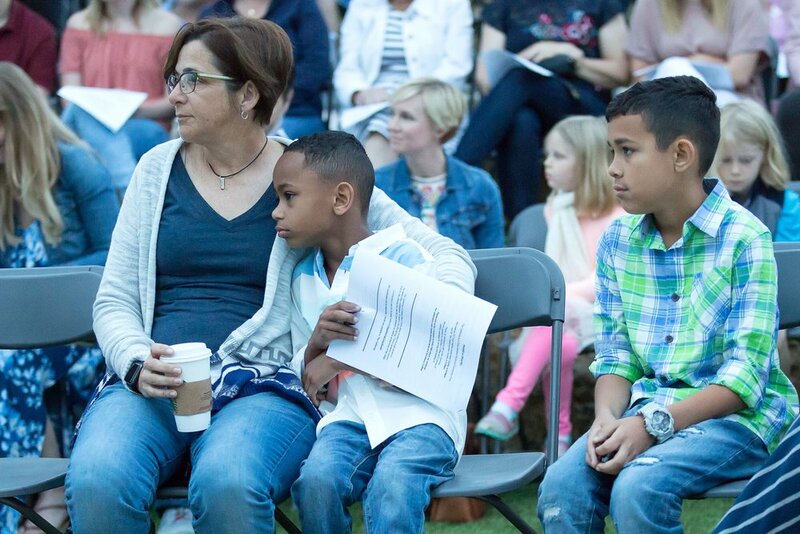 Small communities in the greater Austin area often don’t have the resources large churches like our home church of Life Austin has, yet they have a great desire to experience worship on a deeper level. Supporting these congregations has become one of our favorite things to do. It is also a great way to find out local needs and build relationships for future service projects.